Whether traveling for business or pleasure, this hotel is well equipped to accommodate all your needs. They offer friendly service that has made them famous and there are several guest-driven amenities that ease your way on the road. The hotel guarantees that you will be treated to all the standard Comfort Inn and Suites extras that make a stay more enjoyable such as free continental breakfast, and free wireless high-speed Internet in all rooms. 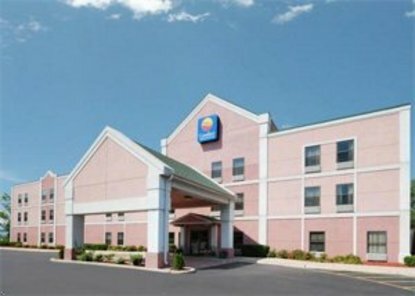 Conveniently located off I-80/294 at North Halsted, the hotel is just minutes from all major businesses and local attractions. Interior corridor room access. Spacious king, double, and Jacuzzi suites available. Specially designed rooms for physically challenged guests.